The Idaho Financial Literacy Coalition, our state affiliate of the Jump$tart Coalition for Financial Literacy, can provide a free, educational speaker for your group. 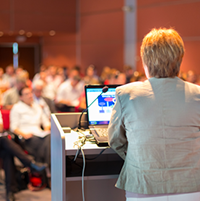 Whether it’s for a middle or high school, an area business, a government agency, or even the department of corrections, we have presenters that you can work with. To schedule a presenter for your group, simply contact the Coalition at information@idahoflc.org with the day, time, topic, and approximate attendance of your event.